I am so pleased to introduce Leticia Blancarte (aka Leti) as the new Manager and Independent Operator of Spatique Skin Care. I know that Leti will appreciate and honor my legacy of top-notch customer care, and I am honored that she has selected Spatique as her place of business. While I am no longer taking clients, I can assure you that Leti and Nikki will continue to provide you with the great service you have come to trust and expect on every visit at Spatique. Nikki joined us in January, bringing 6 years of experience as a skin care professional. She does a terrific job creating delightful client experiences! Leti has 15 years of experience in the health and beauty industry as a cosmetologist and decided to switch her focus to skin care. She truly enjoys making clients feel beautiful inside and out! If you haven’t had the opportunity to do so, please book an appointment with Leti to introduce yourself. Be sure to ask her about exclusive specials. 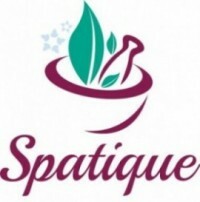 Thank you so much for being a loyal client of Spatique Skin Care! We know you have many other choices when selecting a skin care center. We sincerely appreciate that you choose to trust us with your skin care, image and wellness needs. « Free LED Phototherapy for Members Only!